~made in edgy colors it could be cool for a teen to "wear"
I made mine with Scheepjes Stardust--a new white label yarn that has been amazingly constructed. 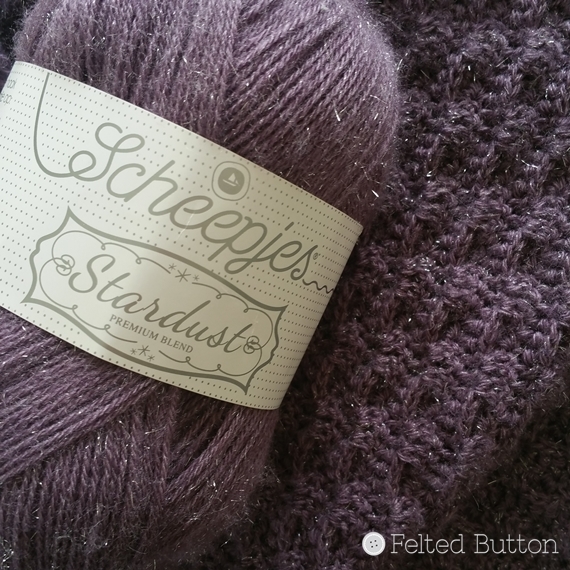 I say that because the yarn has a little sparkle to it but is NOT SCRATCHY in any way!! It's magic, I tell ya! When I designed the border I really wanted something lacey and delicate. And this one seems to fit the bill. Plus, it lays really flat without blocking and I like that--a lot. I left the wings free at the tips for a little fluttering to go on--and they were easy peasy to attach. This little sweetie loved the blanket so much that I had to give it to her. 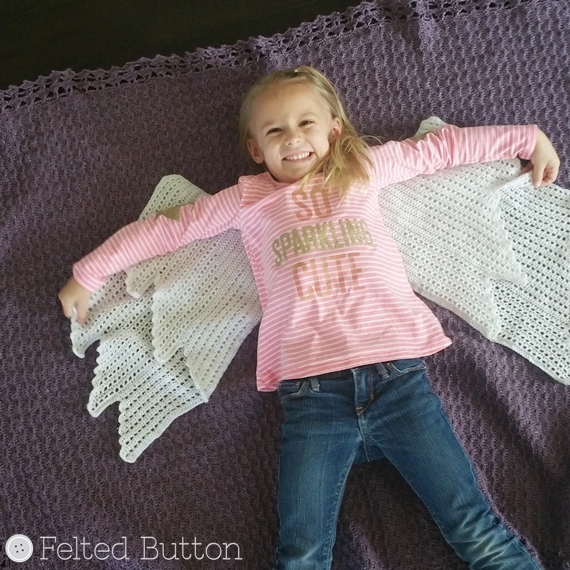 She inserted her little fingers through the blanket border and danced "like an angel" all through the house. 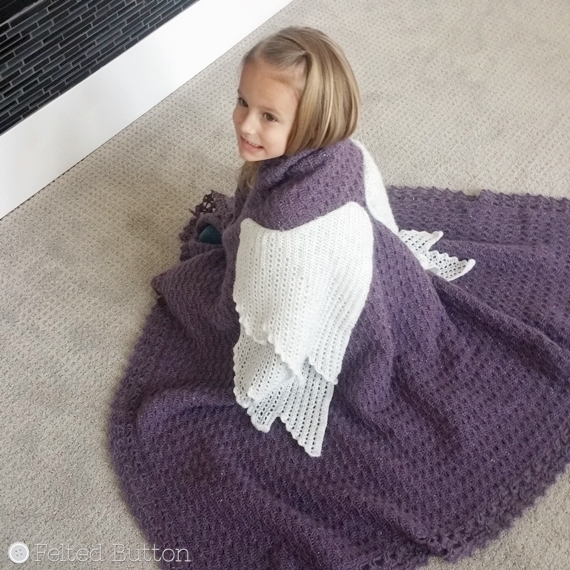 The blanket is constructed in rhythmic rows with fun texture before the border is worked. 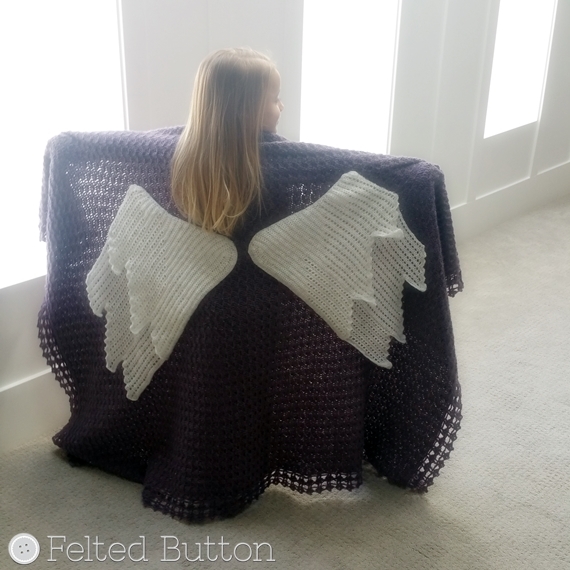 Then the wings are each worked separately and whip-stitched to the blanket front. 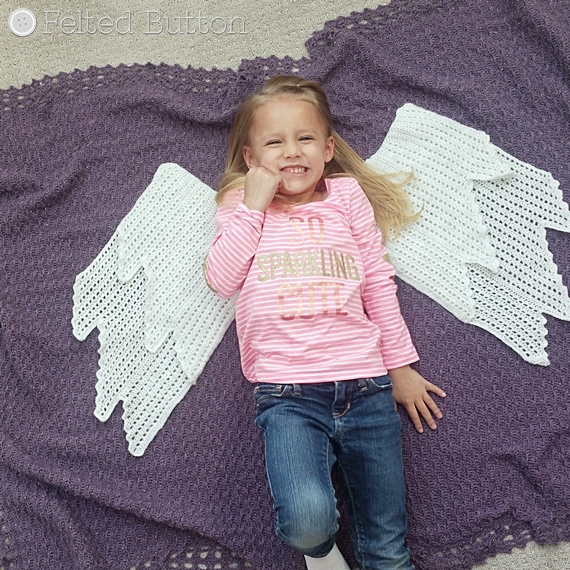 I rated the pattern as Intermediate, but only because the border and wings need a little bit of focus--not because the stitches are difficult. I think an ambitious newer crocheter could totally pull this off! So "sparkling cute", huh? I hope you love it, too! 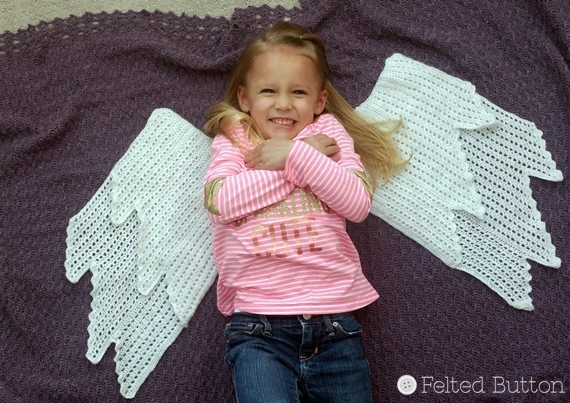 You can find this pattern in the regular places: Etsy, Ravelry or Craftsy. And if you didn't notice, I've recently added coupon codes to my Etsy shop for multiple pattern purchases--the more you buy the more you save. The codes can be found in my shop announcement there. I hope that life finds you healthy and happy--and with plenty of time to crochet.